Are you tired of seeing metal when you smile? Do you have dark unnatural looking crowns? Do have chipped crowns or gold ones? 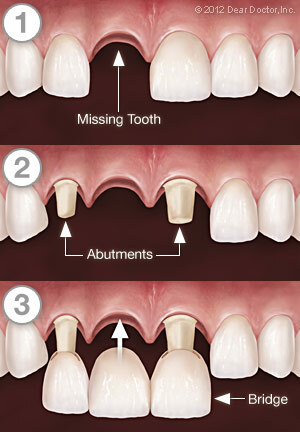 Dentists can custom make a tooth-colored crown that looks even better than your original teeth. You can have that perfect, natural looking smile that you have always wanted. Most traditional crowns are made of porcelain, fused to a metal base. The metal becomes unsightly over time, revealing a dark line around the gums. These old crowns do not transmit light through them and look unnatural. The metal underneath the old crowns can conduct electricity and give your tooth a hot and cold sensation. Some people are even allergic to their old crowns because many of them contain nickel. Nickel is a highly allergenic metal. If you are sensitive to jewelry, then chances are you may be allergic to your old crown. 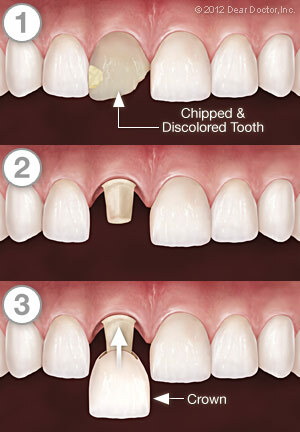 The porcelain fused to metal crowns also tends to chip or break easily. Other old crowns are made of gold, which tend to be more allergy-friendly but are expensive and unattractive to most people. Gold also is such a soft metal that it wears quickly. Most gold crowns will have a hole worn through them in a few years. Zirconium crowns are beautiful, just like a diamond. They are 200 times stronger than porcelain and are almost indestructible. These crowns have that diamond-like translucency, which make them look natural. Zirconium crowns are strong but not bulky. No gray margin will ever show through because they never corrode. Zirconium is biocompatible and not rejected by the human body. It is safe to use in artificial joints and dental implants. Zirconium crowns are comfortable and have no electrical conductivity so you don’t feel hot and cold like the other crowns. Dr. Ron Cole or Dr. Mary Cole shapes the tooth and scans it with a special computer called iTero. The scanner replaces the “nasty goop” impression. It is comfortable and great for “gaggers.” The scanner takes several pictures of your teeth. Your tooth will have a temporary crown made just for you. We then send your scan through email to the lab. The lab makes your zirconium crown with a laser, milling machine. The computer-generated crown is beautiful with an outstanding fit. We are accepting new patients. Please call Dr. Mary Cole at 217-877-1743 or Dr. Ron Cole at 217-875-4505 to schedule your appointment. We are at the Northwest Professional Building at 2727 North Oakland Ave., Suites 101 and 103, Decatur, IL, 62526.